Earth’s Edge are in store to give a full brief on Everest Base Camp. This historic trek is one of the most famous in the world. Mt. Everest (8,848m), the world’s highest mountain, is known as Sagarmatha “sky head” in Nepalese and Chomolungma “the mother goddess of the earth” in Tibetan. The scenery is truly breathtaking with mixed forest, flower filled meadows, glaciers, rivers and spectacular mountainous panoramas throughout. Located in the Khumbu region of eastern Nepal our route takes us through Sherpa villages, bazaars and Buddhist monasteries. 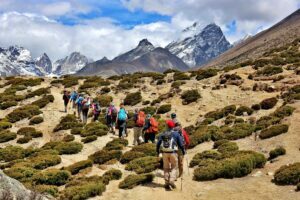 Trekkers come away with great appreciation of the Sherpa way of life, their mountain culture and traditions. Our itinerary includes 12 days of trekking and has been designed with acclimatisation in mind. 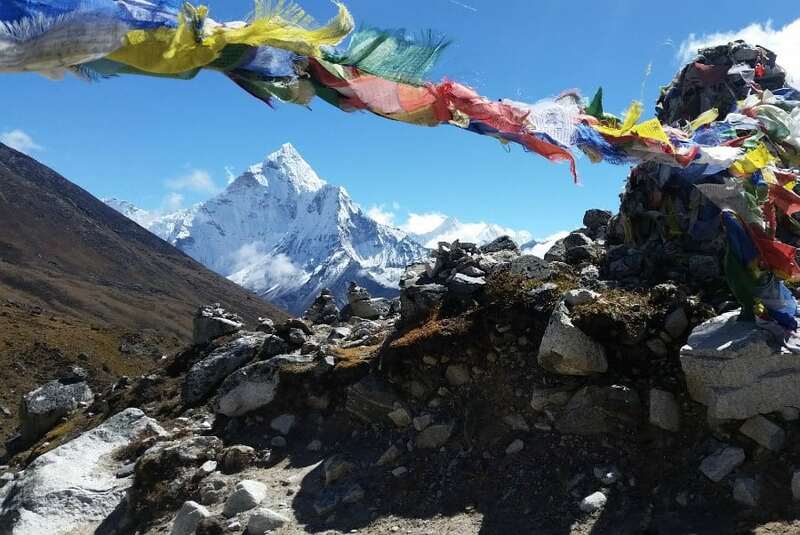 This makes the trip more enjoyable and gives everyone the best possible chance of reaching Everest Base Camp. We also spend two nights in Kathmandu and enjoy time to explore the city. This unforgettable adventure is perfect for those looking for a challenging trek, to the foot of the world’s highest mountain.